Feedback and confirmation from Lazar, 14th January 2017. 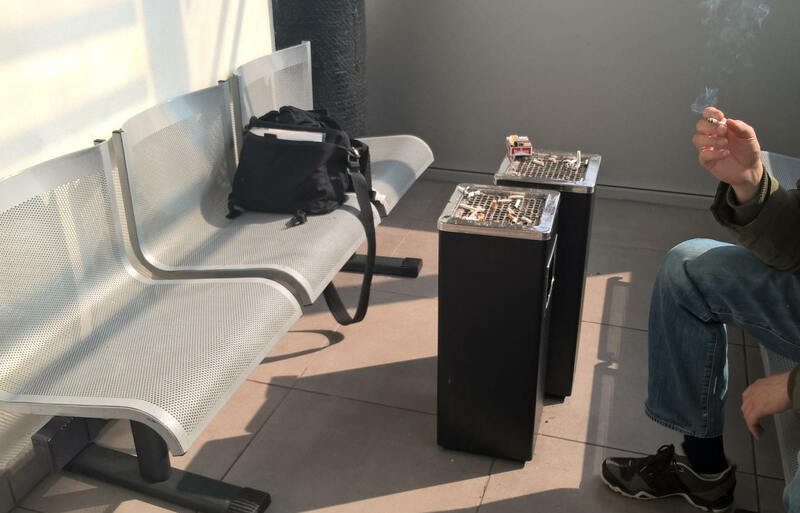 There is at least one smoking area inside the terminal. Feedback from Mario, 24th March 2017: A new Smoker area is in Terminal 2 at Gate 6 on the right side. Photos of the smoking area are below, these are also provided by Mario. 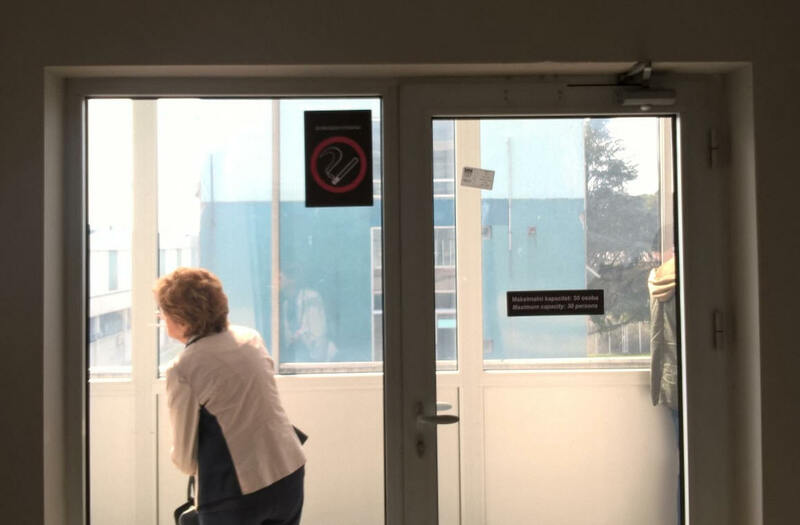 For connecting flights you may need to enter Serbia and smoke outside terminal then go through Security again for your flight.